The Clarke Chrome is the newly improved electric fire in the EzeeGlow range, guaranteed to bring warmth and life to any room. Designed with a removable frame, the fire can be Freestanding or installed as an Inset fire. With a low energy LED flame effect which can be used independently of the 2kW heat source, and a bulb life of 50,000 hours, the Clarke is both efficient, low cost and virtually maintenance free. With it's traditional appearance and affordable cost, the EzeeGlow Clarke is the perfect addition to any home. Yes, it is a similar effect. This electric fire was bought to enhance the sitting room of a terraced property before letting. It does look good. I had to devise a method of securing it to the surface behind to prevent it falling forward by accident. The item itself is basic to its description. The fire effect is not particularly realistic and obviously entails some internal rotation which emits a slight 'click' sound every few seconds, noticeable only if there is complete silence in the room. 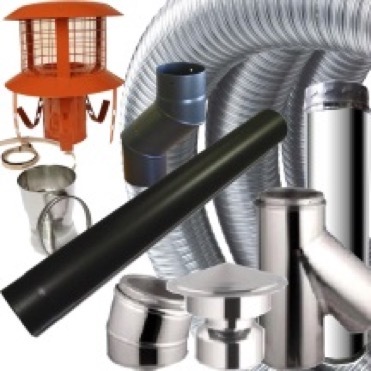 The hot air blowers perform well with slight fan sound and quickly warm the surrounding area. Not bad for the price. Good value for money fast delivery only complaint fret is chrome effect on plastic would have liked s/steel or chrome,other than that very nice! !fits perfect into old fire opening. 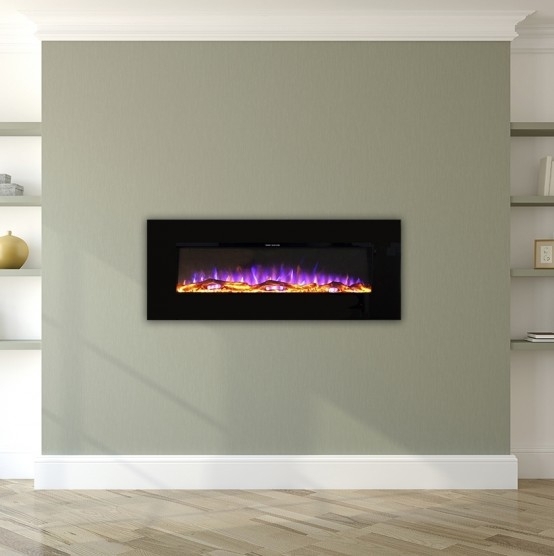 Purchased the Ezee Glow Clarke Chrome Finish Inset Electric Fire to replace the old gas fire we never used. The quality and price are excellent. There are two heat settings that work really well and the light effect gives a nice warm feeling to the room. The service and communications we have had from Robin was excellent, really pleased with the fire and the professionalism of the company. I will be recommending this company (and product) to my family, friends and colleagues. Bought it for my son and they love it! Great service, fast delivery and fire insert was a perfect replacement. Excellent fire , ideal for my needs, goes well with existing furnishings. Very pleased. A FAST AND FREE DELIVERY SERVICE AND THE FIRE LOOKS GREATE IN MY OAK FIRE PLACE. Very pleased with fire. Just looks like a real fire burning and makes the room look cosy. Thank you. 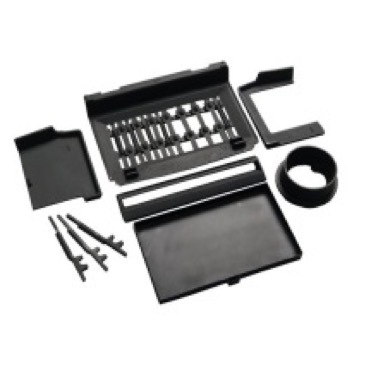 Absolutely fantastic buy, easy installation, professional look and good heat output. Looks like a gas fire insert. glow setting without heater on is a real bonus. Highly recommended. The fire was delivered spot on time, there were good communications in relation to It's tracking together with a polite and informative staff when telephoned, would recommend this company for quality, good delivery and a good products. They also gave fire details and sizes etc when asked, this was done with no problem. A smooth running company you can trust. Good looking fire, easy to install. Great value, fast delivery, excellent service all round. fast delivery very pleased with fire. brilliant value for money.very inpressed with spec would highly recomend .many thanks Terry. I was extremely pleased when I unpacked this fire, it is quite expensive looking, The black frame to the fire is very smart looking against my cream fireplace. It is very useful to have remote control my previous fire had only the controls under tha canopy and wasn't very user friendly so this fire tops my previous one. The flame effect is very realistic and the heat output is just what I need to back up the heating and is especially useful when central heating is not required. I would certainly recommend this fire. I sent email to GR8 fires regarding lack of information regarding the guarantee on the fire and immeditely received email back giving me the information I required. All in all good fire good service. I ordered the fire at about midnight on a Sunday eveing and had delivery at the other end of the country on Wednesday morning. Would certainly recommend GR8 fires. Ordered Chrome Fire late on Sunday night it was delivered Wednesday. Fantastic service, I also received emails regarding process/delivery of fire which I felt was a great service. The fire looks good, I agree with another reviewer that the fret is plastic but actually when it is in situe it looks fine. For the price paid I think I got a bargain and the bonus is it does have remote control. The saying is you get what you pay for, well on this occasion I think I have got a bargain. I would certainly recommend GR8 Fires to others. Very satisfied with product and delivery time. We are very pleased with the product which arrived on time five stars! Fast delivery, great price! The fore was for my elderly parents and they love the remote control as they dont have to get up when its getting cold. I am very pleased with the service in recieving the fire, It was very easy to in stall and to understand the controls. I have'nt really been able to try the effectiveness of heat wise yet. Very satisfied and am shore it will be o k.
Bought this as our old gas fire with power flue could not be repaired and a replacement cost a small fortune. Looks great and the purchase from Gr8 Fires was very quick and easy, installation was also easy. As to performance, we have not really used it as it is a back up heating source if and when central heating stops working. Splendid little fire looks much better in real life than in the picture on the site. Had looked at others with less features and more expensive. Really pleases gr8 fire gr8 service. Came Parcel Force in only 3 days.